The tax filing process in Japan can be confusing, and even cumbersome. 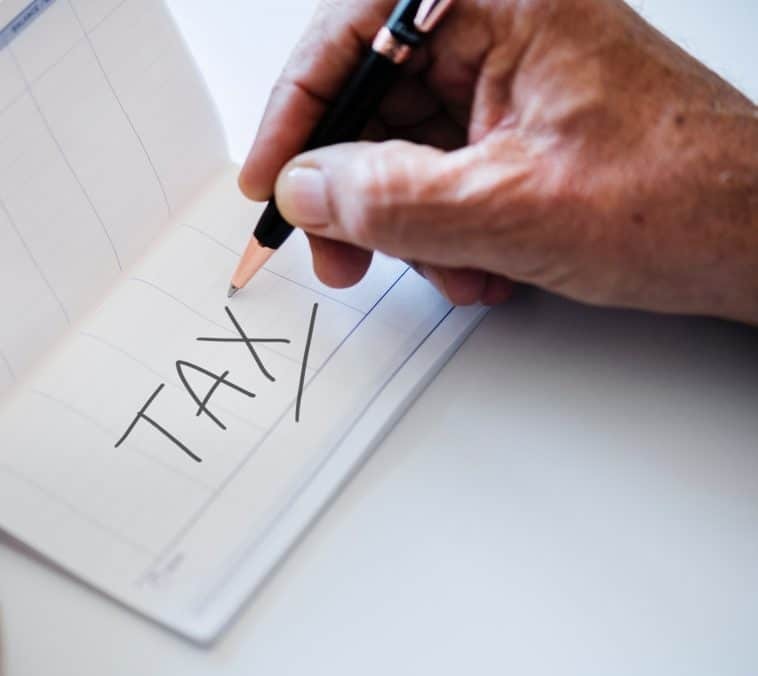 Japanese Income Tax Law states that a sole proprietor or company has to withhold income tax from employee salaries; however, the withheld amount tends to be different from final income tax owed. Calculating the difference, qualifying for the adjustment, and filing independently if you don’t qualify can be a hassle, even with a streamlined tax filing process. To help you make sense of all this, we’ve compiled a guide on what you need to know about the Year-end Tax Adjustment and filing taxes in Japan. The Nenmatsu-Chosei is Japan’s Year-End Tax Adjustment for wage earners that is to be filed by January 31 of the next year. The purpose of this adjustment is to calculate the difference between the total salary or bonus tax withheld by the employer and the actual tax amount you have left to pay or be refunded at the end of the year. You’ll still have to do some filing, though. Your employer should provide you with Nenmatsu Chosei Hyo withholding forms around November or December. These forms will let you update information such as dependents, private insurance contributions, social insurance premiums, etc. Your employer calculates the year-end taxes and factors in the adjustments. These deductions offset your total income for the year and can help you receive an income tax refund, but that’s not always the case. So, what happens when you have too many jobs, make too much money, or get a new job with a different wage? In many cases, your last paycheck of the year can be lower than expected because you owed additional taxes. In Japan, it pays to be consistent in your work habits. Make sure that if you take any job, you’re ready to commit for at least one year. If you own a company or a sole proprietorship, the Tax Bureau (Zeimusho) will send out the Nenmatsu-Chosei tax documents between October and early November. The withholding income tax period is from January to December, and the tax is paid to the National Tax Agency of Japan. The municipal tax period begins in June of the previous year, and the tax is paid to the local government. The municipal tax is calculated differently, as it is based on the final amount of income from the previous year (from Jan-Dec). Also, as the municipal tax is paid after the prior year’s adjustment, it only requires the declaration for Nenmatsu-Chosei. Application to attend a declaration form briefing: Every November, the Tokyo Tax Office holds a briefing to give guidance on making tax adjustments and to explain any legal changes. Attendees receive copies of declaration forms needed to file taxes in their area. The local government office also provides documents to record an individual employee’s income statement and home situation, which will be used the next year. https://www.nta.go.jp/gensen/nencho/. Since the document is in Japanese and is difficult even for native Japanese speakers to digest, it will help to have a Japanese tax specialist at your side. Withholding tax and statutory report: The document is used to report fees and taxes paid to independent contractors. You only have to file this report if you paid a contractor more than 50,000 yen in that year. Tax rate tables: At the end of the year, tax rate tables are updated and distributed for use in tax filing for the following year. Check List: This document helps you keep track of what reports are needed and have been completed for your tax filing. Legal record table:This document is used to report the latest annual salary withholding amount. Tax Payment Slips:This document is used to either pay remaining taxes owed or refund excess taxes calculated after the adjustment. If you find that you neither owe taxes or qualify for a refund, then write in “0” and submit the document. Employees who don’t qualify for a Nenmatsu-Chosei tax adjustment as well as freelancers and self-employed individuals must file a Final Income Tax Return, or Kakutei Shinkoku, during the filing period of February 16 – March 15. The Japanese Tax Office will send you documents for your Final Income Tax Return to report on your income from January 1 – December 31 of the prior year. The Final Tax Return can be filed in-person at your local tax office, by post, or by e-tax online filing. Aoiro-Shinkoku (Blue Tax Return): This type is of form is used most often due to the special tax deductions that apply. Filing requirements include a balance sheet, income statement and thorough bookkeeping and accounting. Shiroiro shinkoku (White Tax Return): This type is based on the status of your business when you registered your entity. It does not require the same documents as the Aoiro-Shinkoku. As stated above, you can file your tax returns in person, via post, or online. Japan has two e-filing options, but they are mainly in Japanese with some English references. E-tax: The National Tax Agency of Japan runs an e-filing system that allows declarations and tax payments to be made online. There is an English reference guide on how to e-file on the website. eL-tax: This e-filing system is sponsored by local governments and allows declarations and tax payments to be made online. As in most places, Japanese tax returns for income earned in one year are filed in the following year. Japanese tax regulations place a lot of responsibility on companies and business owners, as companies file tax returns for themselves and their employees. If you’re a wage-earning employee, then it’s beneficial to earn a moderate income and be ready to commit to at least one year of work with a company. This will help you qualify for a Nenmatsu-Chosei tax adjustment that yields a refund. If you like to work on your own terms or don’t qualify for a Nenmatsu-Chosei, then be prepared to file a Kakutei Shinkoku, or Final Income Tax Return. During Kakutei Shinkoku, review how you registered yourself as a business so you can file a Aoiro-Shinkoku (Blue Tax Return) and take advantage of important tax deductions that can save you money over time. As for filing your taxes in Japan, this can be a complex process, so hire an accountant and tax specialist to help you dot your I’s and cross your T’s. To make errors in the filing process can be painstaking to correct so be prepared when the tax period comes. What is the Japanese year-end tax adjustment? The Nenmatsu-Chosei is Japan’s Year-End Tax Adjustment for wage earners that is to be filed by January 31 of the next year. The adjustment is used to calculate the difference between the total income tax withheld by the employer and the actual tax amount you have left to pay or be refunded at the end of the year. Am I responsible for my tax returns? If you are employed by a company and meet basic criteria to qualify for the Nenmatsu-chosei, then you don’t have to file your own returns. The company files your tax returns for you. If you don’t qualify for the Nenmatsu-chosei or are self-employed or a freelancer, then you file a Final Income Tax Return, or Kakutei Shinkoku. How do I know if I qualify for the Nenmatsu-chosei (YETA)? What if I don’t qualify for the Nenmatsu-chosei (YETA)? Be prepared for a pay cut in your final check for the year, as your pay will have to compensate for remaining taxes owed. Also, if you made too much money, they you’ll have to file a Kakutei Shinkoku, or Final Income Tax Return. You can file your taxes at your local tax office, via post, or online at eTax or eL-tax.